The restaurant was decorated with vintage string bulb lights, Mexican sombreros, green plants and succulents. 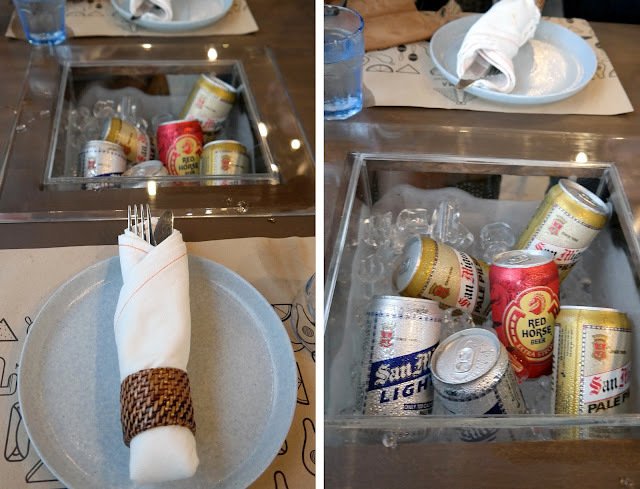 Each tables have their built-in beer and alcoholic beverages which everyone of us found pretty cool because you don't have to call the waiters everytime you run out of beer or whatever's in the bin. The area is small located adjacent to the hotel's pool and can house around 50-70 people. 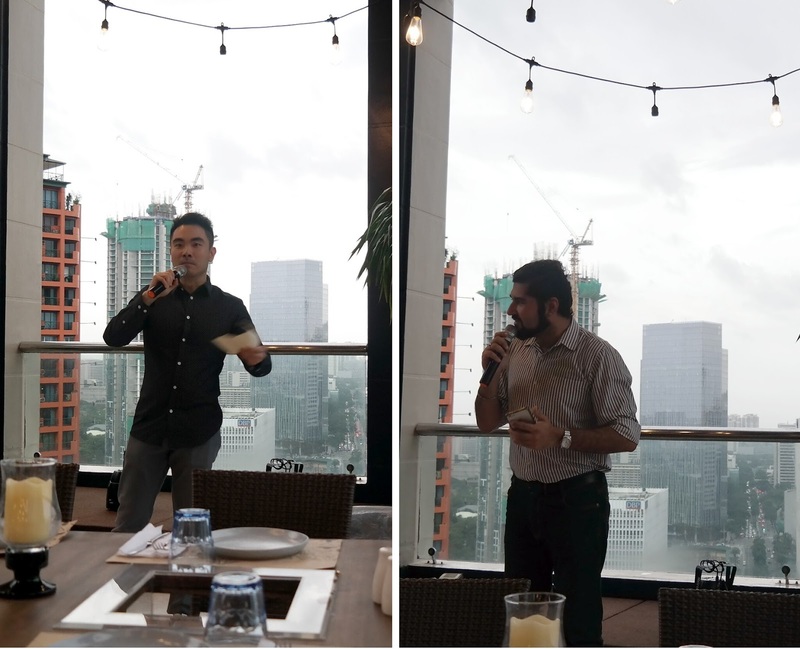 Along with this launch, the event also promotes Encima's Everything. 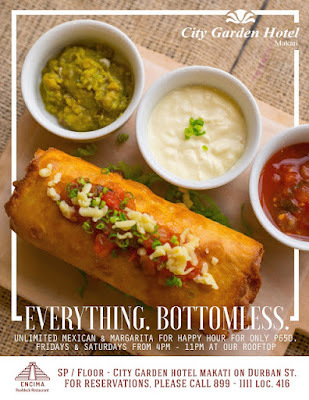 Bottomless promo which features unlimited Mexican and margarita happening every Fridays and Saturdays from 4pm to 11pm priced at 650 for adults and 450 for kids. Tex-Mex Salad – iceberg lettuce, black beans, tomatoes, whole kernel corn, bell peppers, carrots, cooked ham, green onions topped with grated cheddar cheese, salad dressing, sour cream, chili powder, diced red radishes, snipped fresh cilantro. I actually wasn't able to try this because I was saving room for the food I was about to take down that night, but this looks super appetizing and would fill you up already. Nachos Suprema - Nachos are a Tex-Mex dish from northern Mexico. This dish is composed of tortilla chips with sour cream cheese dip. I wasn't able to try these too but my friend said they were good. Watermelon Ricotta and Jicama Salad - I loved this salad! The sweetness of the watermelon and the cheese is a good combination. It is my first time to eat Jicama, if I can remember well. They are juicy, crunchy, and downright exciting. They give a good contrast with the softness of the watermelons. Jicamas remind me of apples or our local turnips (singkamas). Pineapple Adobo Chipotle Wings - This is a nice fusion dish combining the Filipino adobo and Chipotle wings, both of which are well-loved. It's on the spicy side but the pineapple flavor lessens that. I had a few servings of them because I can't get enough of them. Mexican Fried Rice - - I don't know how an authentic Mexican rice should taste; all I know is that this rice is cooked with tomato puree. Anyway all I know is that this is tasty and goes well with all the main dishes served that night. Esquites - smoky, sweet, spicy, and tangy, esquites are the off-the-cob version of elotes, sometimes boiled or grilled Mexican street corn slathered with creamy, cheesy, lime-scented, chili-flecked sauce. In this Encima version, they added Ricotta cheese for more flavor. After gobbling down on the elotes, I also ate a handful of this because I got tired eating corn on the cobs and this doesn't require me to chomping on a cob because these were already shredded. Chili Con Carne - is a spicy stew containing chili peppers, ground beef and often tomatoes and beans. This had so much flavor and I can guess there's cumin in it which I loved. The spiciness was just right. Chili Pork Ribs with Smoky Corn and Avocado Salsa – spare ribs with chipotle barbeque sauce. This was the star of the menu and everyone liked it. The meat was tender and the sauce savory sweet and spicy. I had one too many of this that night. 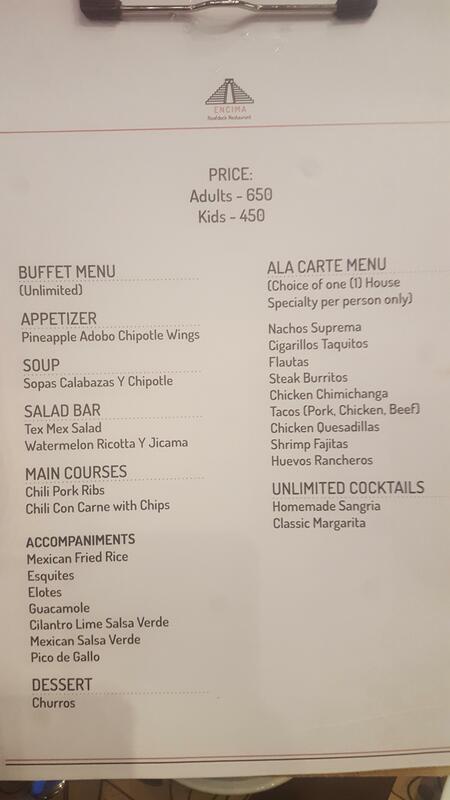 By the way, this is included as one of the unlimited dishes in Encima’s Everything Bottomless promo. Huevos Rancheros – or rancher's egg in English, is a popular breakfast dish consisting of eggs served in the style of the traditional large mid-morning fare on rural Mexican farms. 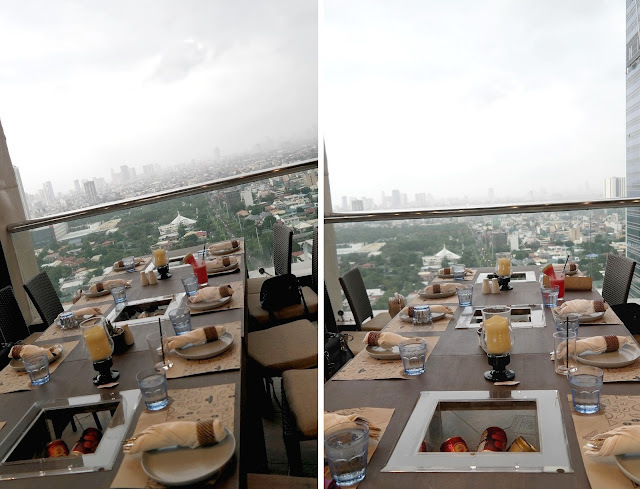 This dish is composed of fried eggs served upon lightly fried corn tortillas topped with a tomato-chili sauce, with a side of chili con carne and guacamole. There's nothing like runny fried eggs, fiery salsa, and fresh corn tortillas to start your meal add some guacamole on the side and you’re likely to hit your daily happiness goals. This is a new dish to me and I liked it. Elotes – Mexican corn on the cob and classic Mexican street food slathered in a creamy chili-and lime-spiked sauce with cheese. The crowd and my favorite as well! I love them so much that I have reiterated this over and over again the entire night. I had several servings of this. Chimi Changas – is a deep-fried burrito that is popular in Tex-Mex, Southwestern U.S. cuisine, and also found in the Mexican states of Sinaloa and Sonora. The dish is typically prepared by filling a flour tortilla with a wide range of ingredients, rice, cheese, meat and can be accompanied with salsa, guacamole, sour cream, and/or cheese. 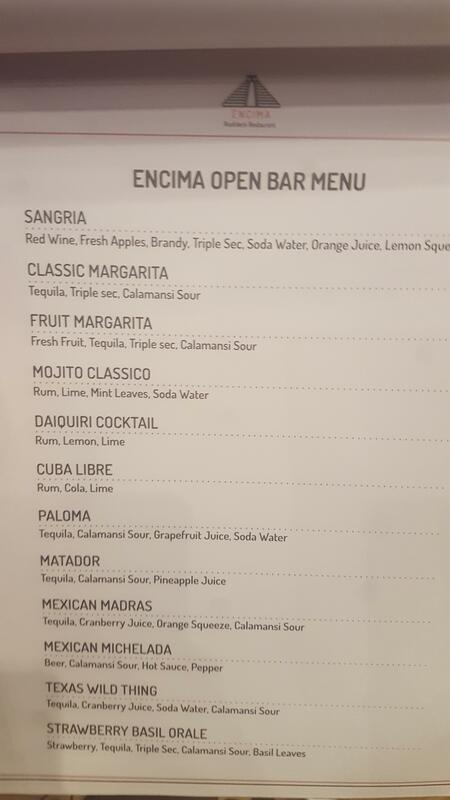 As for Encima's version the Mexican rice was served separately and inside the chimichanga was all meat. Cigarillos Taquitos - are Tacos Dorados filled with pork and topped with sour cream, guacamole, and salsa verde. These rolled tacos are your perfect pica-pica especially when your having drinks because they're easy to pick up and bite into. They could also serve as appetizers. Tacos - it is a traditional Mexican dish composed of a corn or wheat tortilla with a variety of fillings, including beef, pork, chicken, seafood, vegetables, and cheese, allowing for great versatility and variety. Encima offers them in pork, beef, or chicken. Shrimp Fajitas – a dish that is delicious where the shrimps were tender and with soft warm tortilla. The onions and bell pepper are sliced just right so that they are cooked at the same rate with the shrimps and then finished chopped cilantro for a meal that is packed with flavor and veggies. I can assure you that these fajitas are a pleasure for the eyes, and a feast for the taste buds! Can be eaten with tortilla or rice. If you want you can also roll everything together as a burrito. A nice change from mostly meat-based Mexican dishes. Churros - a decadent fried-dough pastry covered in cinnamon and sugar powders. Basically everyone loved it.My friend who's (sometimes) allergic to cinnamon couldn't even resist them. Encima offers them unlimited with 3 dips to choose from: toffee, chocolate and mango. I guess that's why everyone was smitten. Cocktails - from left to right: the Sangria contains red wine, fresh apples, brandy, triple sec, soda water, orange juice and lemon squeeze. I'm not a fan of wine but if you are, then you should try this as this looks super refreshing and screams tropical. The Fruit Margarita has fresh fruit, Tequila, triple sec and calamansi sour. My friend ordered this and she found it quite sour for her taste. I tried it and it was just ok for me. And the Strawberry Basil Orale is composed of strawberry, tequila, triple sec, calamansi sour and basil leaves. This was my first drink that night and I actually kinda loved it. 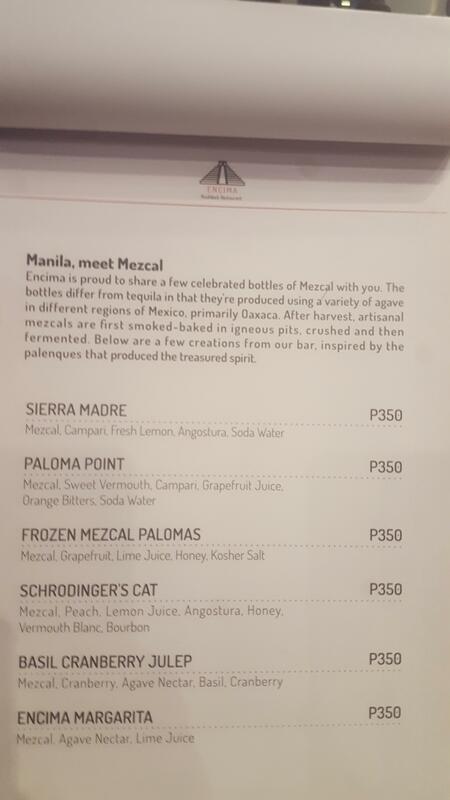 Schrodinger's Cat - this drink is from Encima's Mezcal line - their premium cocktails. Encima is proud to share a few celebrated bottles of Mezcal with us. The bottles differ from tequila in that they're produced using a variety of agave in different regions of Mexico, primarily Oaxaca. After harvest, artisanal mezcals are first smoked-baked in igneous pits, crushed and then fermented. I ordered the Schrodinger's Cat which contains Mezcal, peach, lemon juice, Angostura, honey, Vermouth Blanc and Bourbon. And guess what? I immediately fell in love with it! I loved it so much that I had two of this. Why do I love it so much? 1. They contain real peaches and not just peach syrup. 2. Since the agaves are cooked using wood-fired ovens, it gave the spirit a pungent smokiness that is obvious while drinking it and its aftertaste. And that gives you the third reason: 3. It reminds me of my favorite alcohol: whiskey, but more in-you-face kinda thing. Move over, mojito, you’ve been overthrown because this is now my second favorite drink in the world! 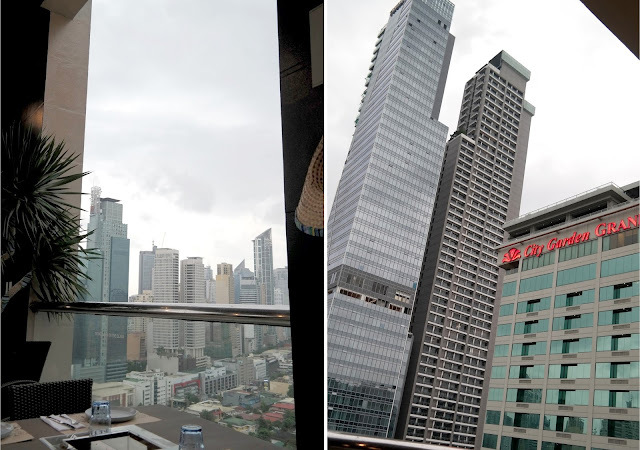 It was a rainy Saturday night but thank goodness that me and my friend braved the looming storm and decided to go to this event. I was able to share this experience with one of my best college friends and catch up and meet fellow bloggers and media personalities. 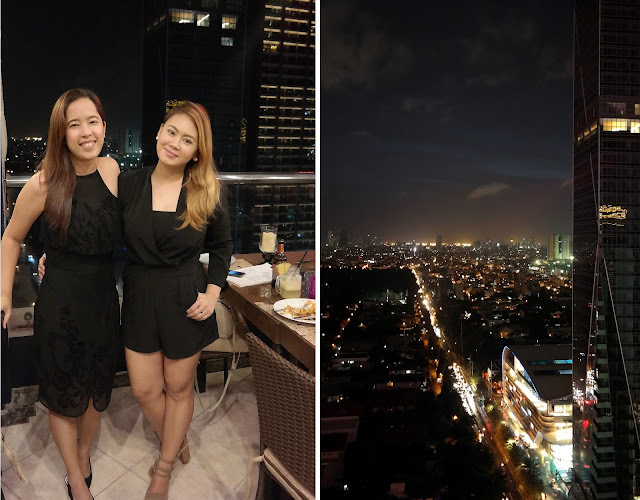 And not forget the sumptuous and generous dinner and cocktails that we had that night.